A home for the holidays comedic murder-mystery... Billy (Adam Pally) comes back to his hometown expecting to be beloved like he used to be. 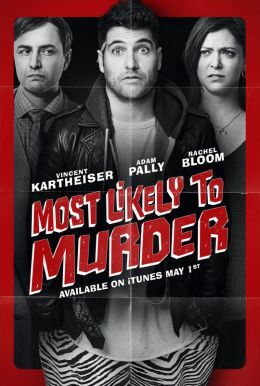 Instead, he finds his ex (Rachel Bloom) is dating the former high school outcast (Vincent Kartheiser), so Billy becomes obsessed with proving the outcast is actually the killer behind a mysterious local death. It's like Rear Window... for stoners.